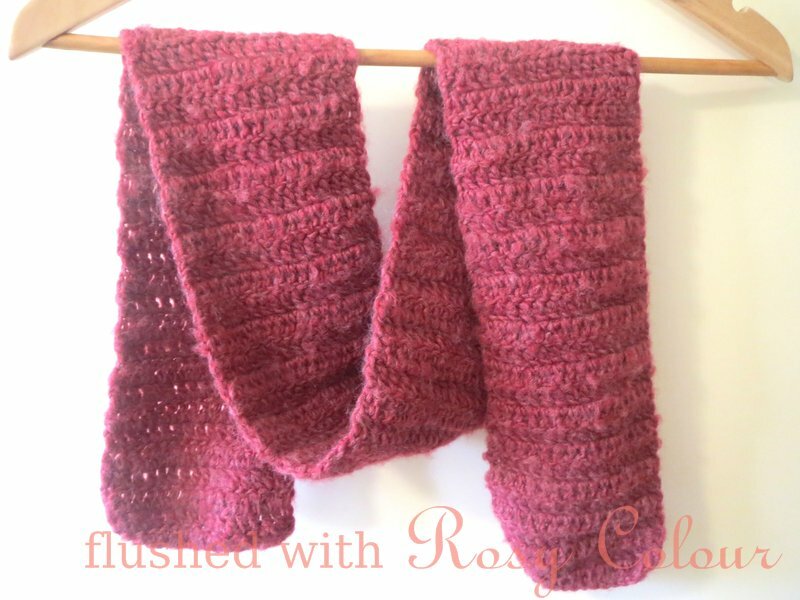 I just made this scarf for fun, because the yarn was soft and fluffy and really nice to work with. It's a lovely blend of 40% wool, 40% acrylic and 20% rayon. I have one ball left, maybe there is enough for a hat? For this scarf, I didn't do any fancy stitches that I might have to unravel as the furry yarn catches on itself and makes it hard to unravel. I just did rows of dc until the yarn run out. I haven't made this for anyone in particular, I'm just going to add it to my pile of stuff that I have made!